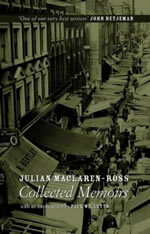 The COLLECTED MEMOIRS features both THE WEEPING AND THE LAUGHTER, Maclaren-Ross’s long out-of-print childhood memoir, and his much better-known MEMOIRS OF THE FORTIES, which incorporates vivid, much-quoted profiles of Graham Greene, Dylan Thomas and the 1940s Soho pub scene. 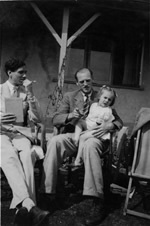 Fans of Maclaren-Ross’s work also have the opportunity to sample an array of delightful, previously uncollected memoirs. "Those who have yet to discover this wonderfully stylish and sardonic writer should start here." "A substantial account of his great talent." "Were he writing now… he would be a star."